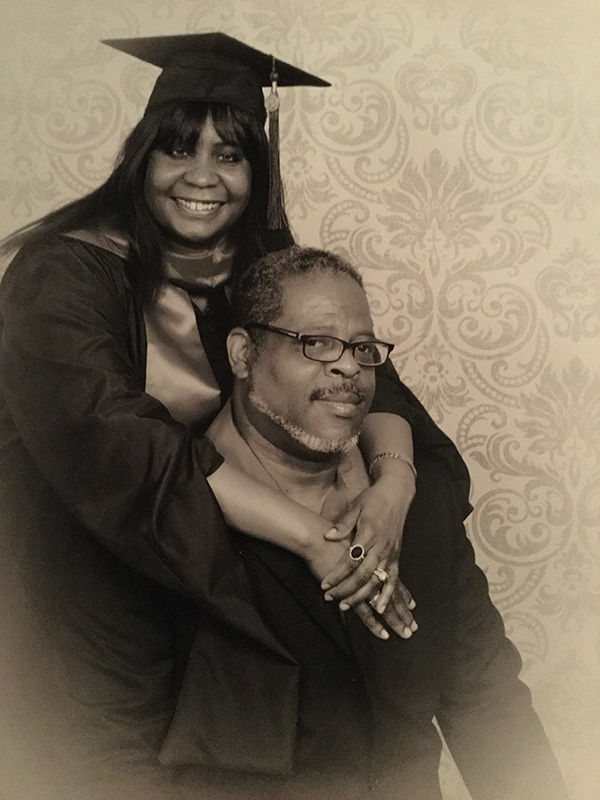 In a month that he celebrates his 52nd birthday, Dr. William C. Goggins says: “It’s just a number.” He is referring to his birthday, not his professional milestone. Today he also performed his 2,000th kidney transplant at IU Health University Hospital. Goggins, who serves as surgical director for the kidney transplant program came to IU Health in July of 2003 and still remembers his first transplant surgery. On Tuesday, Dr. Goggins chatted with patient Julie Brophy just minutes before she received his 2,000th transplant. In 2001 Brophy, diagnosed with IgA nephropathy, received her first kidney transplant at another hospital. Her husband of 17-years, Patrick Brophy was her donor. When that kidney failed in 2006, she began dialysis. Going into surgery with Dr. Goggins, Brophy said she is looking forward to feeling better and playing sports with her 7-year-old son. “I hit the jackpot with this kidney, IU Health and Dr. Goggins. I am ready to feel better and enjoy life,” said Brophy, 45. Her transplant surgery was a little tricky, but Dr. Goggins said it’s those types of procedures that keep him focused on becoming a better surgeon. Over the years Dr. Goggins has experienced a number of tough surgeries that will stay with him a lifetime. He says each patient reminds him of his focus to continually learn and improve. 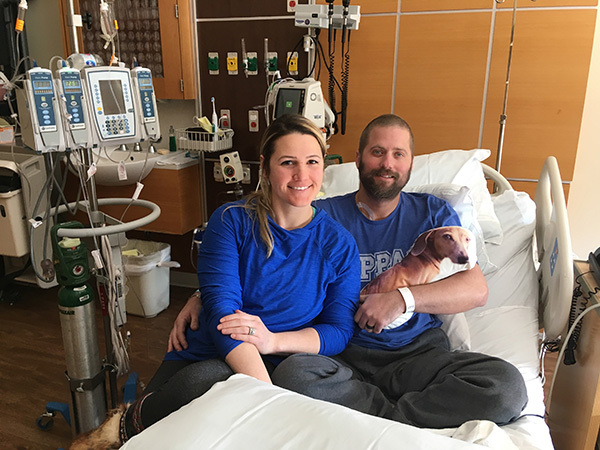 His 2,000th transplant is symbolic of a career high that represents a new lease on life for those suffering from long-term kidney disease. Goggins was a sophomore in high school, growing up in central Massachusetts when he knew he wanted to pursue a career in medicine. He shadowed his mother, a nurse, to a blood pressure clinic and reflected on her caring spirit. “She instilled in me the idea that you have to care for your patients like you care for your family. If that means getting out of bed at 3 in the morning then you get out of bed at 3 in the morning.” His mother passed in 2008 and his father, a former newspaper journalist, passed this month. Goggins has a brother, 11 months older, and two younger sisters. After college he attended St. Louis University School of Medicine and completed his fellowship in transplant surgery at Massachusetts General Hospital and Harvard Medical School. It was his first day on the St. Louis campus when he met his wife, Laurie, an attorney for the Legal Aid Society of Indianapolis. 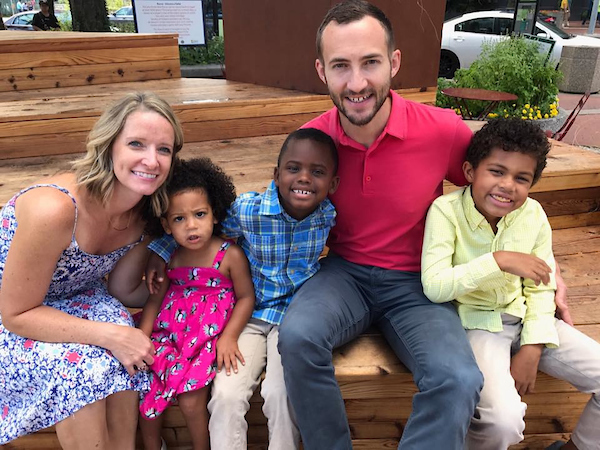 They have four children – a son who is a junior at Zionsville High School, a son who is a freshman at Indiana University-Bloomington, a son who is a junior at IU and a daughter who is a second year medical student at IU. He’s seen much in his career spanning 2,000 kidney transplants. “When I first started, patients over 55 weren’t candidates for transplant. Now we’re transplanting patients in their 70s.” His oldest patient is 83. Additional testing over the years has led to more knowledge about potential barriers to transplant. Paired donor exchange has also made transplants more accessible by entering incompatible living donor pairs into the exchange to find a compatible donor. Dr. Goggins was one of the surgeons involved in Indiana’s first kidney donation chain in 2009, which involved eight individuals and led to four people receiving lifesaving kidneys. Through the National Kidney Registry’s Remote Donation Network and Advanced Donation Program – both offered at IU Health – living donors can provide a kidney for an intended recipient or can donate to ensure their intended recipient receives a kidney in the future. Also new are transplants from high-risk donors (those with questionable health issues). New medicines can minimize those risks and improve a kidney recipient’s chances of better health more than if they continue living with kidney disease, said Goggins. Such advances have shortened the wait time for patients and have also increased the chances of successful transplants, said Goggins, who is a registered organ donor. 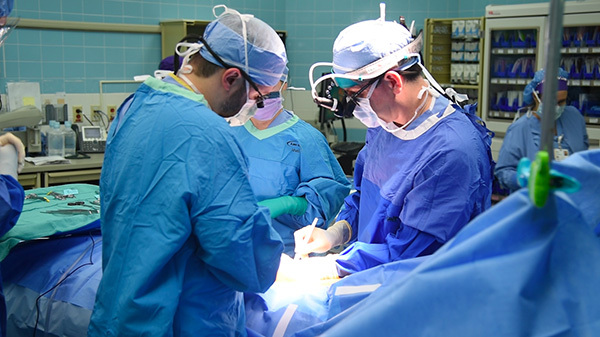 “I love transplant surgery because you are part of the healing process. If you do an operation well, patients are restored to normal kidney function and they get their life back,” said Goggins, who performs the vast majority of the 200 transplants recorded each year at IU Health. Congratulations! If this is your first pregnancy, or even your second or third, the thought of bringing a new baby into the world may be overwhelming. Here are a few important steps you can take now to help smooth the way. Let’s start by dispelling a few myths. You may have heard that once you’re pregnant, you should “eat for two.” In truth, the amount of extra calories you’ll need each day is equivalent to a glass of milk and half a peanut butter sandwich. A word on weight gain: if you’re at a healthy BMI now, you should expect to gain around 25 to 35 pounds during your pregnancy. If you have a low or high BMI, speak with your physician for advice. The old school of thought was that if you weren’t exercising before, don’t start. That’s changed. Even if you’ve been sedentary, you can begin a modest program based on your physician’s recommendations. Walking, using an elliptical machine, or prenatal yoga classes will help your body prepare for the extra demands of pregnancy and labor. Women who are currently active can plan to continue most of their workouts. There’s an old wives’ tale that pregnant women shouldn’t wear seat belts and should have their airbags turned off. Not true. When worn correctly, seat belts can save your life and prevent harm to the baby in an accident. You should wear both the lap belt, nestled under your belly across your hips, and the shoulder strap, between your breasts. Leave airbags on. DO eliminate smoking and alcohol right away. The research is clear. Smoking causes birth defects and increases the risk of sudden infant death syndrome (SIDS). Drinking alcohol can cause miscarriage and a host of disabilities known as fetal alcohol spectrum disorders (FASDs). DO contact your physician as soon as possible. The first appointment should fall around your eighth week of pregnancy, so you’ll want to make sure you get on his or her schedule. DO eat a balanced healthy diet of fruits, vegetables, protein, and dairy. DON’T eat any unpasteurized dairy or any undercooked or raw meats, such as sushi. These foods can be contaminated with bacteria or parasites. Plan to avoid eating cold cuts or deli meats because they can harbor Listeria. DO start taking a prenatal vitamin right away. You can find these over the counter at any pharmacy. Either a pill or a gummy is fine; just make sure it says “prenatal” on the label. DO get a flu shot if you haven’t already done so. DON’T change or scoop your cat’s litter box. Unfortunately, those cute, fluffy critters can carry a parasite in their feces, which can be inhaled while scooping. Take pregnancy as an opportunity to pass this chore off to another family member. DO look into both your and your partner’s medical benefits so you can plan ahead. What’s your maternity leave policy; does your partner have a medical leave policy? On that note, it’s a good idea to inquire about childcare services as soon as possible. 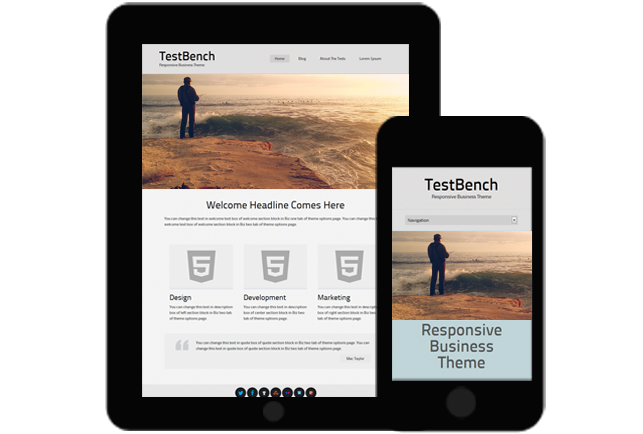 Many have long wait lists. Pregnancy and all its to-dos and responsibilities can seem daunting. But if you begin by tackling each step early and methodically, you’ll have more calm and control throughout the process. It’s a beautiful journey. There’s a history that Andrew “Dru” Gaddie brings with him through the doors of IU Health Methodist Hospital. Some of that history connects him to the hospital; some of it connects him to his role as a behavioral specialist for patients with drug addictions. Gaddie entered the world on July 21, fifty years ago. The obstetrician and gynecologist who delivered him – Dr. Frank Perry Lloyd would eventually have his portrait hanging in the lobby just inside the doors that Gaddie now enters to begin his work day. Lloyd, who died Aug. 27, 2002 at the age of 82, served as President and Chief Executive Officer of Methodist Hospital from 1981 to 1988. Gaddie grew up on Indy’s east side and graduated from Arsenal Tech High School. He played football for the Titans and wrestled in the school’s 135-pound weight class. He also played trumpet in the band, and achieved the rank of colonel in the ROTC. Things were looking good for the young man who was first held by the hands of a respected physician. He served from 1985 until 1988 and then moved to Chicago to care for his ailing mother. He joined the Chicago Police Department for a time and eventually moved back to Indiana where he worked in maintenance for one of the malls. All the while Gaddie was serving others he denied a nurturing that was beyond his scope of reasoning. He needed to take care of himself. There were fights, there were guns involved and there were injuries. But he was never incarcerated. Eventually he started to experience health issues – serious health issues that landed him back in the hospital where he first made his appearance into the world. He was diagnosed with congestive heart failure and diabetes. At one point in his life he was considered morbidly obese at 345 pounds. Three heart attacks in three years led to surgery. Still Gaddie continued to use. At his worst he was in a trap house and was shot by a couple of kids. He spent a day in observation but said the wounds were minor and he was released shortly afterward. It was about that time that Gaddie, then at the age of 39, decided he needed help. I was 3:45 a.m. on December 11, 2006. Gaddie will never forget the day that he made the call, and told the person on the phone that he had an addiction. Now when he comes through the doors of Methodist Hospital, Gaddie is dressed in a freshly pressed shirt and pants. He wears a tie around his neck and in those pants pockets he carries three coins – two from Cocaine Anonymous and one from Alcoholics Anonymous. They represent 11 years of sobriety. Since that December night, he has focused on the self-care that he once put on the back burner. He has undergone bypass surgery and is maintaining a healthy weight, has been married for six years to Gwen Gaddie, and has focused on a career that allows him to practice a discipline he so firmly believes in – sobriety. “When I came into recovery I was aggressive with my recovery. By the grace of God I haven’t relapsed in 11 years and never even thought about going out. This life is so much better,” said Gaddie. At Methodist, Gaddie is part of a team of behavioral health recovery specialists who work with doctors and nurses connecting opioid overdose patients with ongoing care. The collaborative effort is part of a statewide plan – Project Point – that provides outreach intervention in opioid-related emergency medical services to help combat the tragic outcomes of opioid addiction. “Having recovery coaches on the team means they can speak in a manner that others can’t. They know and understand the addiction firsthand, and patients know exactly who they are talking to. 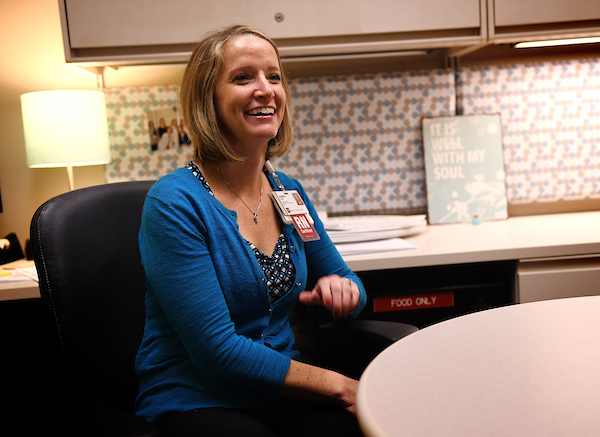 They know that they are talking to someone in recovery whose specific job at that moment in time is to help that person,” said James Ryser, director of chronic pain and chemical dependency at IU Health Methodist Hospital. Gaddie, who worked in other treatment centers and halfway houses before coming to IU Health said he looks at his experience with addiction as a tool that can help him relate to patients. And what does he think Dr. Lloyd would think if he saw him now? Jessica Jones’ roster is an impressive one – 120 nurses and 15 support staff. Her team’s mission is a crucial one – care for some of the most critically ill patients at IU Health Methodist Hospital. The 34 beds inside the cardiovascular critical care unit are filled with people who’ve just had heart transplants and lung transplants and open heart surgeries. Some days, that unit is filled with happiness and victories. Some days, the tears and the loss creep in. And yet, somehow, Jones – the clinical manager of the CVCC unit – handles it all with ease. She is compassionate and upbeat. She is friendly and hands on. Jones isn’t a bedside nurse anymore, but she can’t pull herself away from the bedside for good. On her shifts, Jones can often be found inside patients’ rooms, helping out. For Jones, it’s like therapy. A hectic, bad day can be turned into a good day just by doing something for a patient that makes them feel better. That, after all, is why Jones got into this career in the first place – to help others. As an athletic trainer at Heritage Christian High School, Jones loved wrapping ankles. She soon realized that wasn’t necessarily the norm. Not everybody thought that sort of thing, taping up sweaty players’ joints, was fun. There’s certainly good reason for that. Jones’ dad, Randy Caldwell, M.D., is a cardiologist at Riley Hospital for Children at IU Health. Her mom, a nurse, went to nursing school at Methodist, when the hospital offered that training. 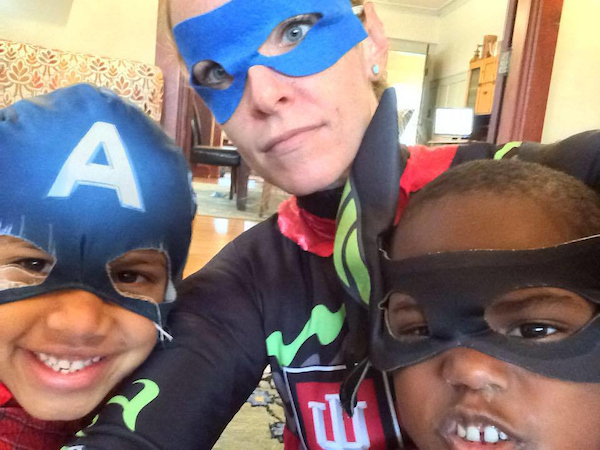 “I guess my roots are with IU Health,” says Jones, who is known as a leader – and a mom — who likes to make things fun. As she headed to college at Indiana University, Jones had pretty much settled on a career – physical therapy or medical school. Healthcare was definitely in her future. By the second semester of college, she realized nursing was the perfect fit. While in nursing school, Dr. Caldwell suggested to his daughter she might try working at a hospital before graduating. Jones started a job as a tech in the emergency department at Riley and loved it. She thought that was where she would end up one day. But then, near the end of nursing school, Jones had clinical at Methodist in CVCC. “It just clicked with me,” Jones says. The unit manager asked if Jones would transfer there to be a tech. She did. And after graduating she was asked to stay on again, this time as a nurse in CVCC. That was 14 years ago and Jones has never looked back. She started as a night shift nurse and did that for 11 years – five as a nurse and six in a shift coordinator role. Three years ago she took on the role of clinical manager. 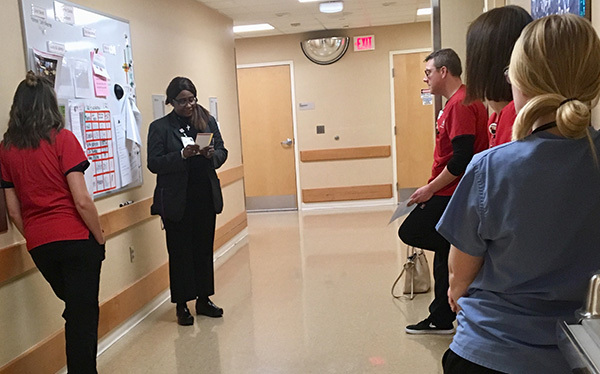 Being able to oversee the unit and mentor young nurses, while still caring for patients, is the perfect fit for Jones. “I cannot think of a profession that marries my passion and my ministry better,” she says. Personal: She is married to Dustin and the two have three children: Oliver, 8, Max, 7, and Ruby, 3. They adopted all their children and are foster parents. Outside of Methodist: She enjoys playing soccer and going to Dustin’s cycling races. Oliver plays soccer and Max is a gymnast so the family spends a lot of time at one another’s activities. Fun fact No. 1: Jones set up her twin brother with one of the nurses she worked with on a blind date. They’re now married and have a son. Fun fact No. 2: Jones has a twin brother. Her mother is a twin and her grandma was a twin. Always learning: Jones is in school getting her master’s degree in nursing and health systems leadership. On the side: The family lives in a historic neighborhood downtown Indianapolis and is renovating their home. For those driving down the Kokomo side street, the mailbox is nothing out of the ordinary. But for those who know the tale of the Smiths it’s a sentimental symbol of a love story that began not in the heart – but in the lungs. Don Smith grew up in the Delphi and Camden areas where his boyhood was filled with hours rebuilding classic cars. He was the youngest of four and after high school he left home to serve in the Army stationed in Fairbanks, AK. When he returned to Indiana, he worked as a construction superintendent, ran a welding shop and continued to pursue his passion of restoring antique cars. Krystal Shaffer grew up in Peru, also the youngest. She liked hanging out with her brothers and playing fast-pitch softball. She also liked spending time with her Aunt who owns a bridal shop in Kokomo and taught Krystal the art of crocheting. She graduated from Peru High School and pursued a career in advertising. They were living worlds apart. But about five years ago, that all started to change. Don had been battling some sickness and was diagnosed as Chronic Obstructive Pulmonary Disease (COPD), an inflammatory disease that can obstruct the airways to the lungs. 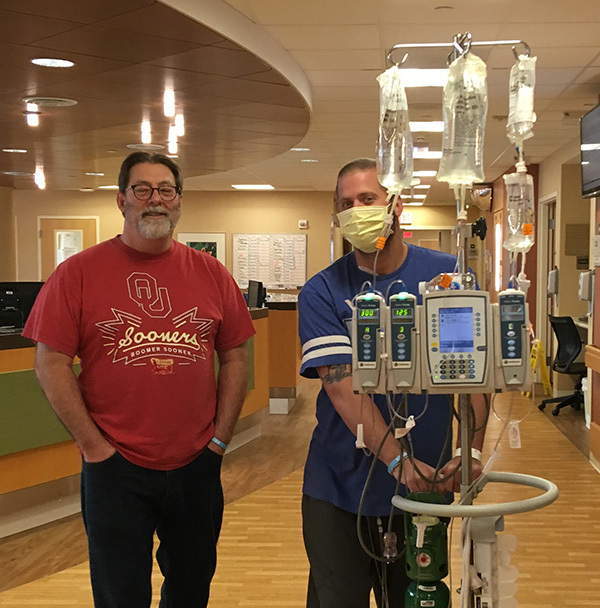 On September 15, 2013 – his birthday – he was put on oxygen and two years later, under the care of IU Health Doctors David Roe and Thomas Wozniak, Don began preparations for a lung transplant. About the same time, Krystal was also battling serious health issues. In August of 2013, she was admitted to the hospital so weak she couldn’t walk. She too was put on oxygen. At one point she said she was up to 37 liters and still could barely breath. Her list of conditions, which were triggered by an environmental infection, included BOOP (a form of non-infectious pneumonia), Bronchiectasis (a chronic infection in the walls of the bronchi) pulmonary edema (an accumulation of fluid that can lead to respiratory failure), and COPD. Doctors determined she was a good candidate for a lung transplant. Suddenly their paths began to cross. 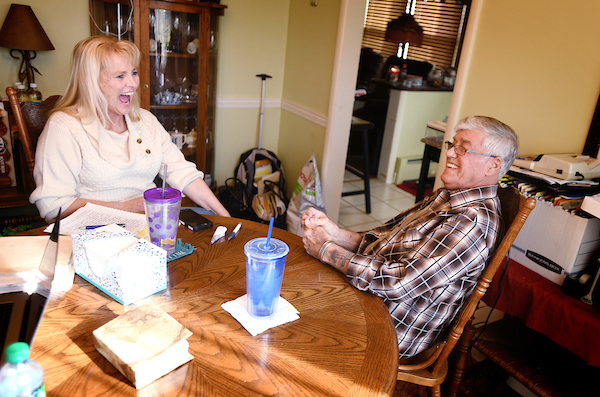 They first met as friends when they were both in pulmonary rehab – working toward their transplants. At the time, Krystal the mother of two girls had been single for 18 years. Don, the father of four, was married to his wife Janet. Their friendship was focused on their health. Twelve months passed and on Christmas Eve 2015, Don’s wife of 43 years died. He remembers when she was in the final stages of her battle. The esophagus cancer had spread to her lungs. She knew she wouldn’t be around much longer and started talking to Don about who she could fix him up with. She didn’t want him to be alone. 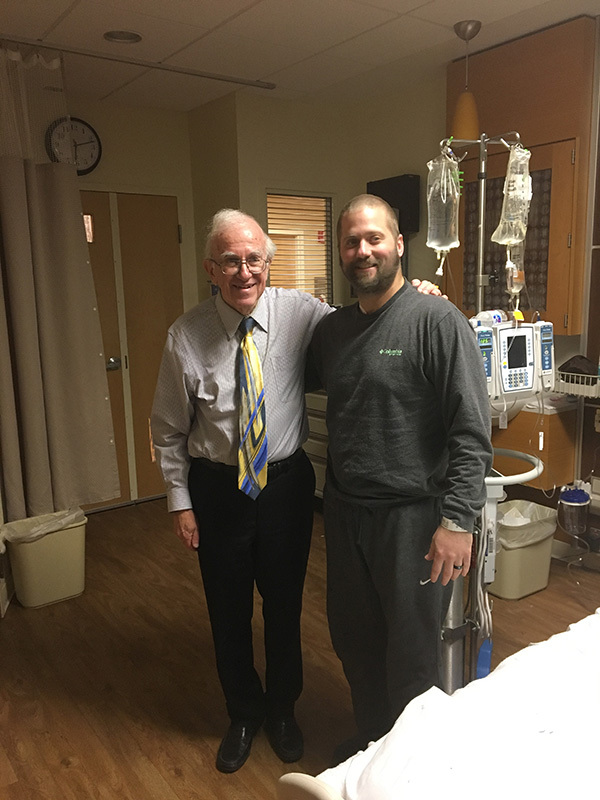 Don continued to deal with his own health challenges and on Easter Sunday 2016 he entered IU Health Methodist Hospital where he received a single lung transplant. Five months later, on August 10, 2016, Krystal also entered IU Health Methodist Hospital and received a double lung transplant. Krystal remembers receiving encouraging text messages and cheerful visits from Don during her recovery. “After my transplant I was feeling isolated, like I needed to talk to someone who could really understand what I was going through. Don was that person,” said Krystal. Unexpectedly, the friendship grew into something that looked more like a lifetime companionship. “After my wife died, my sister kept telling me to go to new churches where I might meet someone. I said ‘I’m too old to chase women. If the good Lord wants me to find another wife, he’ll put one in front of me,’” said Don. It turns out his future wife was Krystal, a woman who shares his faith and his journey through life after transplant. 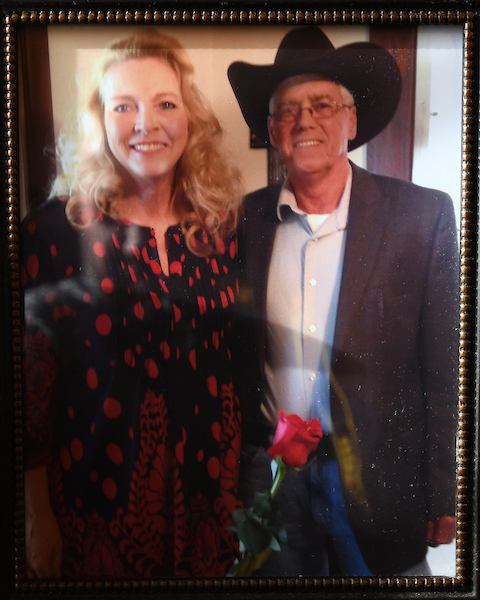 A framed picture in their Kokomo home shows a smiling Krystal wearing a red and black dress with Don at her side, wearing one of his favorite cowboy hats. Krystal is holding a red rose. The photo was taken on their first date in the September of 2016. Don showed up with a rose and said he hoped the rest of the bouquet of a dozen would be distributed on future dates. 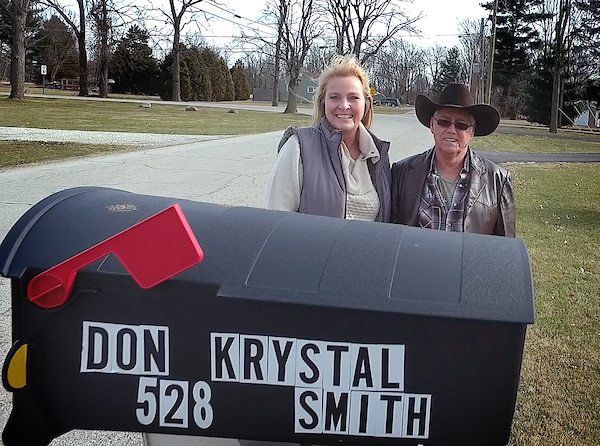 Two months later they were standing in the parking lot after attending a Veteran’s Day program at Don’s granddaughter’s school when Don told Krystal exactly how he felt about their future. “We talked about where the relationship was going and I said I’d like us to be celebrating an anniversary in the next year,” said Don. They were engaged Dec. 12, 2016 in the same pulmonary rehab facility where they first met. They were married six months later on June 2, 2017. 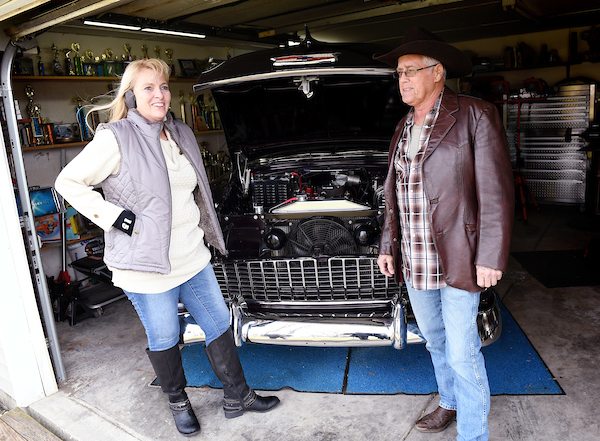 In their Kokomo home, Krystal continues to crotchet blankets and Don putters around with his classic cars – his favorite a the1955 Black Rose Chevy. Their nest is filled with Krystal’s telephone collection and her husband’s John Wayne memorabilia. They are taking their time remodeling the home, just as they took time to rebuild their health. They schedule their follow-up doctor appointments together at Methodist Hospital where the nurses first recognize them by the sound of Don’s cowboy boots hitting the tile floor. Then they see them walking hand-in-hand. 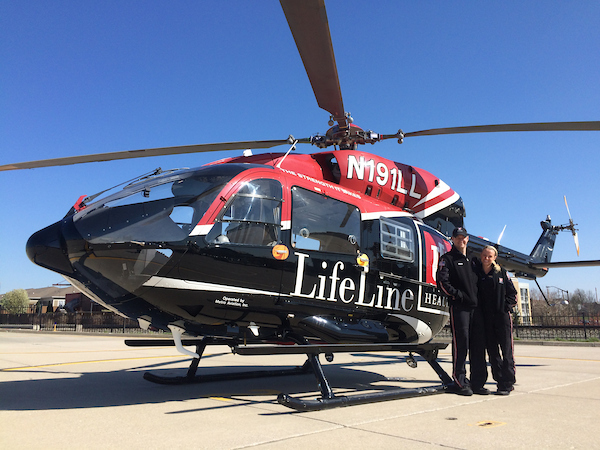 When Jeff Pearson first joined the LifeLine flight crew coworkers were anxious for him to get acquainted with a certain respiratory therapist. That therapist, named Kellie, also remembers coworkers urging her to meet Jeff. Eventually, they joined their work friends for a night out to an Indians game and the friendship took off from there. “We cautiously tiptoed toward our first date,” said Jeff, 37. He popped the question in April 2016 and they were married last March. Jeff grew up in Frankfort and studied aviation technology at Purdue before joining the Army for 10 years. As a helicopter pilot he completed two tours of duty – one in Iraq and one in Afghanistan. Also a fixed wing pilot, he enjoys flying in his off time from work. Kellie grew up in Greenwood. Babysitting jobs when she was in seventh grade fostered her love for children. After graduating from Center Grove High School she attended Indiana State University for a year and returned to Indianapolis to complete her degree in respiratory therapy. “I’ve always loved children and knew I wanted to work with them,” said Kellie, 34. Immediately after graduation, she joined the staff at IU Health Methodist Hospital in Pediatric ICU where she remained for five years. Seven years ago she joined the LifeLine team. As newlyweds, the pair made a pact that they would avoid working on the same crew. Kellie is based in Indianapolis and Jeff flies out of Lafayette where he is pursuing a master’s degree in aviation management from Purdue. When they aren’t at work, the couple spends time trying new restaurants, participating in outdoors activities, traveling, and practicing sports with Jeff’s three daughters, ages 8, 10 and 13. The dust rained down like confetti, or maybe it was like lava sprouting from a volcano. Denise Woods describes the horrific scene outside the World Trade Center – grasping for words to paint the picture. Unlike confetti, there were no colors. It was dark, like gray or black. And the sounds – there were screams. And the smells – like something burning. But what she remembers the most is a path – like a passage that opened up in front of her and drew her far away from the devastation in Lower Manhattan. It wasn’t a clear path. It was foggy and there was temptation to turn back, to look back, but something kept her moving forward. She was still in her work clothes, including high-heeled shoes, and was carrying a few personal belongings she picked up from her office before leaving the building. As she exited the building, she remembers seeing her supervisor and another coworker lingering in the office space. She began to descend the 92 floors, step by step. She remembers walking onto the seventy-second floor where the elevators were not working, and hearing the news – tower one was hit, her tower was safe. The elevators were then put into motion. She joined more than a dozen people who took the second elevator to the main lobby. As the doors closed, she saw one of the last people she knew. Woods hoped the coworker would join them on the elevator but she didn’t. She was about 100 feet outside the building when the second plane hit. It wasn’t until she got home and turned on the news that she realized the Twin Towers had been the target of terrorist attacks. The attacks claimed the lives of 2,996 people and injured more than 6,000 people. “I just kept moving forward by myself. It was like I was being ushered from the building. We lost close to 20 percent of our workforce. A lot of people who stayed closer to the towers were the ones who lost their lives. About 20 minutes after the impact, the building just started to tumble,” said Woods. The emotions are still raw – 16 years later. And like the path she took to escape one of the most horrific attacks in US History, Woods has been on course to rebuild her life. Within days after the attack, she unleashed her innermost thoughts and began writing about the experience. Over time, she published two anthologies: “9/11/01 God’s Unseen Miracles – Healing Through Poetry,” and “To the Hurting – God Massages the Heart on the Hour.” She has also published another collection “A Mother’s Love.” The day she returned to her home, covered in ashes and dust, she also realized something else was happening in her life. Born in British Guiana, part of the West Indies, Woods is a twin and one of six children raised by a successful mother who spent most of her working years as a teacher and school principal. Woods remembers that no matter how busy the weekdays were her mom expected the children to be in church on Sundays. “I think even back then I was always soul searching and feeling like I was set apart for something special,” said Woods. She adds that her childhood was spent attending Catholic schools, climbing fruit trees in the backyard, joining her cousins helping her uncle in the rice fields and soaking up the sunshine and humidity – all part of her homeland. Woods’ sister was the first to marry and move to the United States. Woods’ mother followed in 1983 and five years later, Woods joined her and eventually became a US citizen in October of 1998. In the past 29 years she has obtained a bachelor’s degree in finance and a master’s degree in business administration and has worked primarily in insurance. She was working for the Aon Corp Insurance Co. as an insurance specialist when the World Trade Center was struck. That all changed when she walked away from the dust and ruble. In 2010 she was on her way to seminary in Missouri, made it as far as Indianapolis and her car broke down. 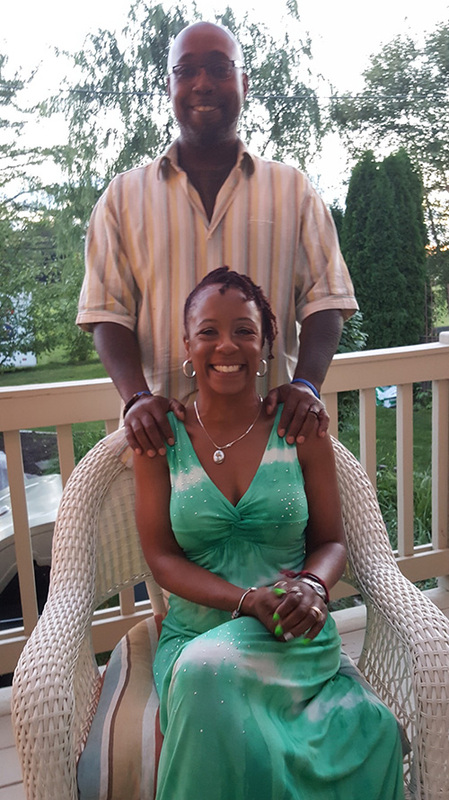 She stayed in Indianapolis and her first day on campus at Crossroads Bible College; she met the man who ended up becoming her husband, Anthony Woods. “We had a connection. We were both Christians and we just knew,” said Woods. Exactly 11 hours after their first meeting, Anthony proposed to Woods. “I was a survivor of the 9/11/01 terrorist attack on the World Trade Center, and Anthony was at that time an active military personnel (Army) who was given his orders to go to war. Anthony, like thousands of American servicemen and servicewomen, was told that he would be going to Afghanistan, to fight in the ‘Operating Enduring Freedom (OEF), Afghanistan War. Anthony spent 288 days in the battlefield defending our Great Nation,” said Woods. In 2015 she started the internship program at IU Health while completing her master’s in religion at Liberty Baptist Theological Seminary, graduating in 2017. Last August she began her residency in pastoral care working at University Hospital during the week and at Riley Hospital for Children and Methodist Hospital on the weekends. On a recent weekday she sat at the bedside of a patient hospitalized for side effects of cancer. She talked in a soft voice and then prayed for strength and healing. She then joined a group of nurses offering morning devotion.